Dana, get off the dang couch. Some people use AirBnb as a business and own multiple apartment rooms in a city, furnished and decked out specifically for travelers. In most cases, the rooms are nicer, more spacious, more convenient, and often cheaper than standard hotel rooms. Plus you get the added experience of living in a residential area during your travels, meaning you get a feel for average life for the people in that country. The fridge was stocked with cup noodles, beer and water, which was a nice welcome gift for us. Another great feature was that the owner provided us with a wifi “egg”, as they call it in Korea, essentially a pocket wifi router. 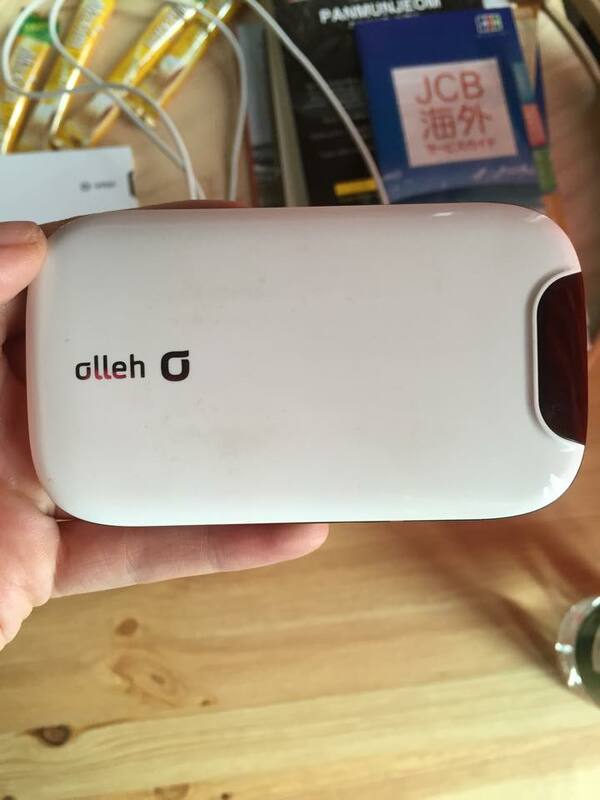 He even provided a spare battery, each charge lasting up to 8 hours. This way, we were never lost in Korea, we always had an Internet connection: google maps and tourist information in the palm of our hands. A great service that you wouldn’t get staying in a hotel. “Kevin” was a great host and managed three AirBnb apartments in Seoul. He responded to our questions via text and was helpful to offer advice about area. On checkout day, since there was no-one coming in after us, he told us we could leave when we were ready–no pressure to check out at the standard 11:00am time. That helped a lot too! AirBnb hasn’t really taken off in Japan so much yet, but I hope that more people will be open to this service in the future. It could help a lot of short term travelers better enjoy their stay in Japan. 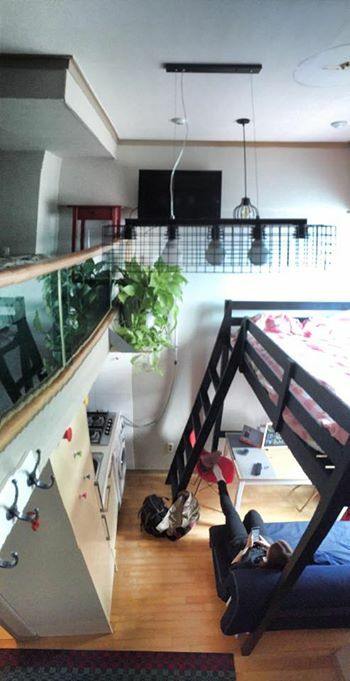 I’ll be traveling again in May, and I’m hoping to stay at other Airbnbs in different parts of the world, I’ll try to show you what rooms look like then as well. Dang kids and their smartphones these days. 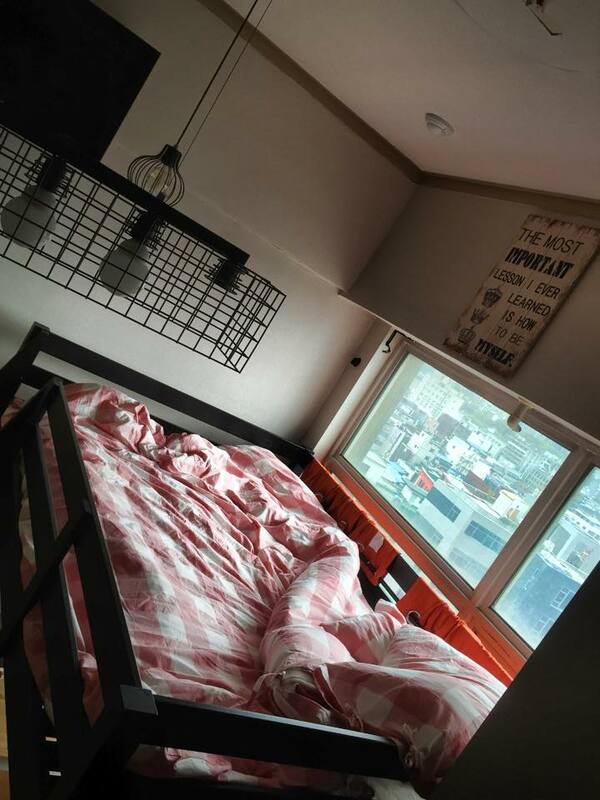 Posted in Airbnb, Asia, Korea, TravelTagged Accommodations, air, airbnb, Airbnbとは, Airbnbについて, AIrbnb口コミ, Airbnb使い方, Asia, かんこく, エアービーアンドビー, オススメ, ソウル, トンデムン, ミカエラ, ミカエラのAsia Travel Diaries, ミョンドン, bnb, ciaela, Dongdaemun, 韓国, 観光, 観光アンン会い, 観光案内, Korea, Micaela, Micaela Braithwaite, Myeongdong, Seoul, travel, 宿泊, 旅, 旅行, 日記, 仁川Bookmark the permalink. Yeah, I’ve heard of Airbnb. I love them! I even use them when I go to Canada, hahah! 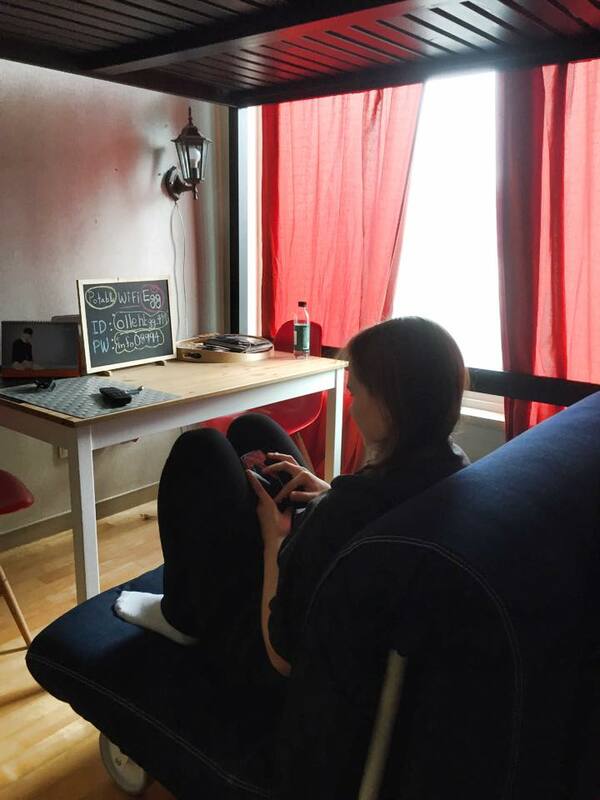 I love the apartment and the fact that it came with perks — pocket wifi, snacks, and etc.